Its been a good week when we talk about Samsung’s Galaxy Note 5. Samsung’s upcoming flagship phablet has seen nearly every feature pop up when it comes to leaks, and today, we have a live image of the device for you. While leaks surrounding the Galaxy Note 5 have been limited mostly to benchmarks, renders and what not so far, images depicting the device in its full glory have rarely hit the rounds. That changes today folks, and you can take a look at the Galaxy Note 5 in none other than gold in the image below. 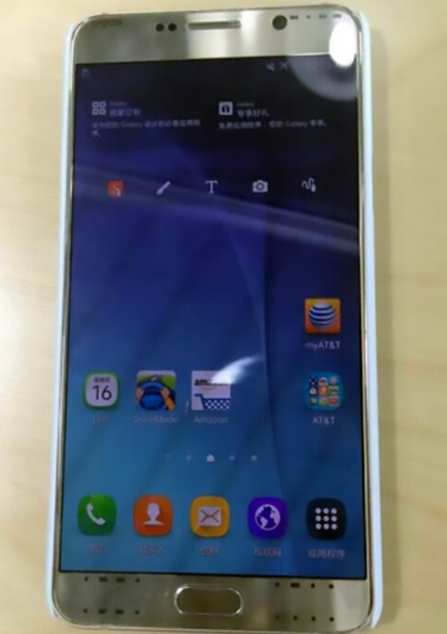 We’ve seen plenty of leaks surrounding the Galaxy Note 5 so far. Samsung’s upcoming device is said to feature a SIM card slot on the top, coupled with a remarkably thin form factor; and a non removable battery to the dismay of many. But that’s the cost of having a premium metal design for your Galaxy Note, and after the S6 launches, Samsung just doesn’t want to seem to turn back. Oh and talking about premium, the images that have leaked today show the device in gold, which is as good as it gets if you prefer finesse in your devices. 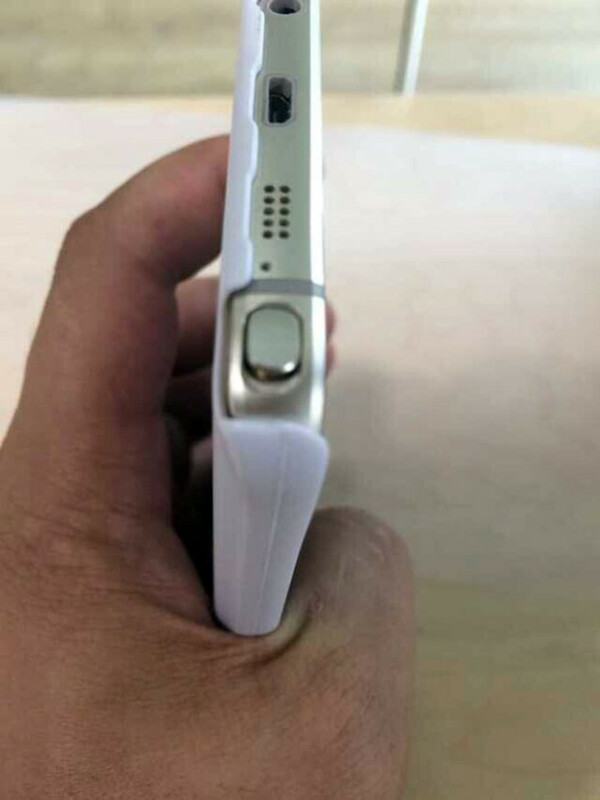 Courtesy of Steve of NWE, we’ve been able to take a look at several devices before their intended launch date. And as we get to sink into this year’s summer device launch cycle, there seems to be no rest for him either. You’ll be ejecting the Note 5’s S Pen manually for now, contrary to earlier reports that claimed an auto-eject patent being filed by Samsung for these purposes. The bottom of the device is adorned with a USB port, a speaker grille and a headphone jack just like we told you earlier. When it comes to the processor side of things, we’ve heard a bit of disappointing news lately. While earlier reports claimed that Samsung would be employing the Exynos 7422 on its latest device, which would drive down thickness considerably owing to a compact arrangement of various hardware components, recent reports suggest that the Note 5 will be coming with the good old 14 nm Exynos 7420 on board. It’ll also be coming with 4 GB of RAM, and camera sensors similar to the Galaxy S6 Duo according to the latest. While earlier reports of a Note 5 Edge have failed to gain any traction so far, the device is coming in August, so its not long until we get to take a final look at what Samsung has to offer in the phablet sphere this year. Rest assured, according to the sound of things so far, the Korean smartphone giant seems to be on the right track so far. Stay tuned and let us know what you think in the comments section below.